Anyone would agree that the best way to assimilate a new language is to do an immersion in a foreign country. This option, however, is not available to everyone for a bunch of structural or volitional reasons. Still, there are ways to get past this obstacle and improve your abilities to understand and speak English. One of these ways is to force yourself to think in English in daily situations. First of all, we must ask: why do people want to learn English? Most of the time, they want to learn it because they wish to get around in everyday situations when they travel without having to wonder if they will be able to understand people and to be understood by locals. Therefore, learning specific fields-related vocabulary at the early stages of the learning process is not a good idea. You should not care about gardening tools’ or medical surgeries’ names. Focus on what is essential. You will rapidly understand what is essential if you wake up in the morning and immediately try to perform every single thought in English. You want to book an appointment with a doctor? Think about how you would do that if you were in an English-speaking country. You want to make a new recipe? 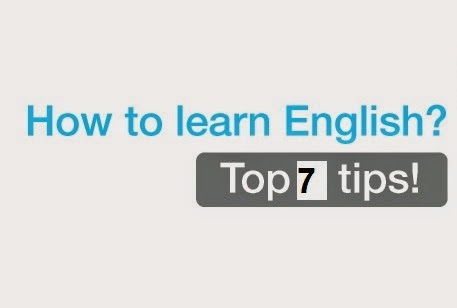 Think about how you would explain an English speaker the different steps you have to go through. You are walking on your way to work? Try to think about the things and people you pass by in English. And don’t forget to take notes so that at the end of the day you can look up the words you did not know earlier. 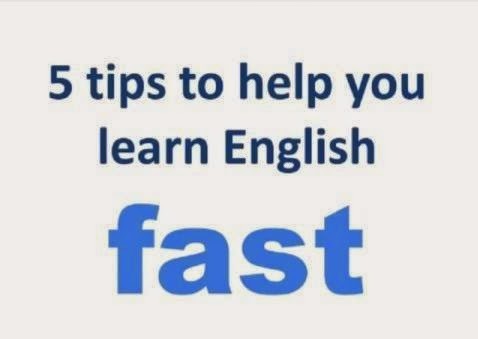 If you can’t go on a long trip to familiarize yourself with English, an easy way to learn tons of new words is to read a lot of English articles, books, magazines, etc. Seeing new words is the best way to not only realize that you know too few, but it is also the best way to learn new ones. In effect, when you watch a movie in English thinking it will help you understand the language better but still miss one out of two words because it goes too fast, you are not exactly “learning”. You are just getting your ear used to the way English sounds… which is not bad… but not optimal either. Reading children’s short stories, however, is a good way to start. Every time you come across a word you do not know, look it up in the dictionary and write down its meaning in your mother tongue. From there, try to write one or two examples of daily situations in which you could use this word. If you find a use for the word you just looked up, it is more likely that you will remember it, especially if you brush up on your vocabulary list every day. Let’s say that just learned that when your toilet is clogged, you need a thing called a “plunger”. (This is certainly a useful word to know when you’re at the hotel in a foreign country! It will keep you away from the humiliation of having to mime it!) Instead of just repeating it to yourself a dozen of times, take a post-it, write down the word “plunger” and stick it on your home’s actual plunger. The more you see it, the more you will remember it. Same thing if you just learned the expression “too many things on the plate”: write it down with its meaning and place it in your cupboard. You will see it everyday and you will eventually get rid of the note when you know it by heart. A few paragraphs above, I was telling you that watching movies was not the optimal way to learn new words. I actually meant “watching movies without subtitles”. Indeed, watching movies WITH subtitles is a great way to be actively involved in the plot as you constantly have perform a task, that of following the script with your eyes. At the same time as you are hearing the words, you are seeing them: this allows you to unconsciously assimilate the pronunciation of words, which can sometimes be tricky in English. Needless to say that subtitles have to be in English! If you watch an English movie but select subtitles in your mother tongue, you are actually destroying the very purpose of the exercise! Matching the sound of a word with both its spelling and the context in which it is used maximizes the time you spend watching an English movie. Also, you should consider keeping a notepad close by: take down the words and expressions you do not understand as the film goes by and once the credits start, take a few minutes to look these words up. Forcing yourself to think in English, reading a lot, sticking notes everywhere and watching movies with subtitles will be useless if you do not make an effort to mobilize the things you learn. This means that if you learned five words or expressions on a given day you should try to use them the day after while you are forcing yourself to think in English on your way to work, for instance. Although your brain has a great absorption capacity, the words you learn will soon be forgotten if you don’t mobilize them. Just like a muscle, your brain needs to be exercised: every little effort you make to use new words in everyday life situations is grist to the mill! there are 3 easy steps that any student can take to accelerate their English learning. These steps produce faster results and a more enjoyable learning process. Most English students and teachers focus on language output- on speaking and writing activities. Yet, research shows that the key to excellent speaking is actually input-- listening and reading. To learn much faster, students should spend most of their time on input activities. They should listen to understandable and interesting English audio as much as possible. Using this method, listening skills will rapidly improve. Surprisingly, speaking also improves more quickly when students focus on listening rather than on speech practice. Analytical grammar study simply does not work. Countless research studies show that grammar study is ineffective and inefficient. Yet, grammar-based activities form the bulk of instruction at most schools. Grammar is best learned naturally and intuitively through meaningful input activities. Listening to correct grammar repeatedly is the best possible way to improve-- not by studying grammar rules. Learning grammar subconsciously in this way has been shown to be the fastest method for improvement. A surprising key to faster learning is to go more slowly. In schools, students often rush through their textbooks. As a result, they never learn the material deeply. Nothing is mastered. The material never leaves short-term memory. Research shows that constant repetition and review produces faster and better results. Students should repeat audio lessons, for example, as many as 50 times before moving to the next lesson. This kind of repetition produces deep learning that forever remains in long-term memory.